This second edition includes new Blob pictures in areas such as bereavement, self-harming, faith and A&E. Each Blob picture comes with suggested questions that can be used to guide the discussion; ranging from straightforward questions (Which Blob is happy?) to more personal questions designed to explore opinions and feelings (Which Blob do you not understand? Which Blob would you like to be?). 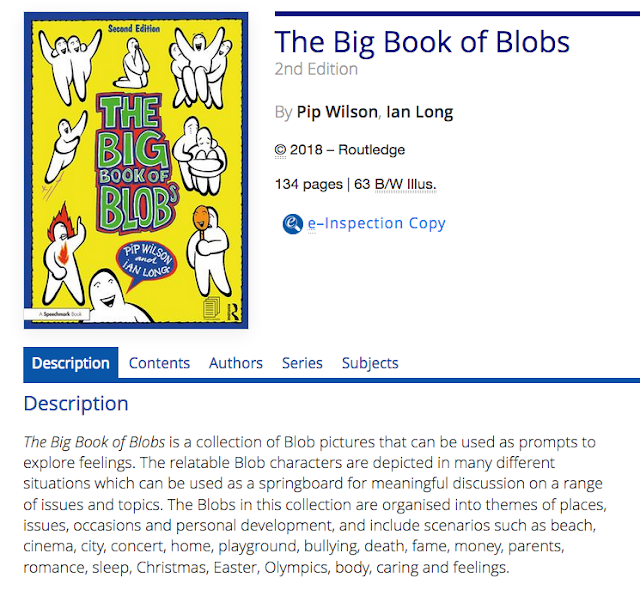 he Big Book of Blobs provides a unique way to initiate conversations on a range of topics with individuals or groups of any age.